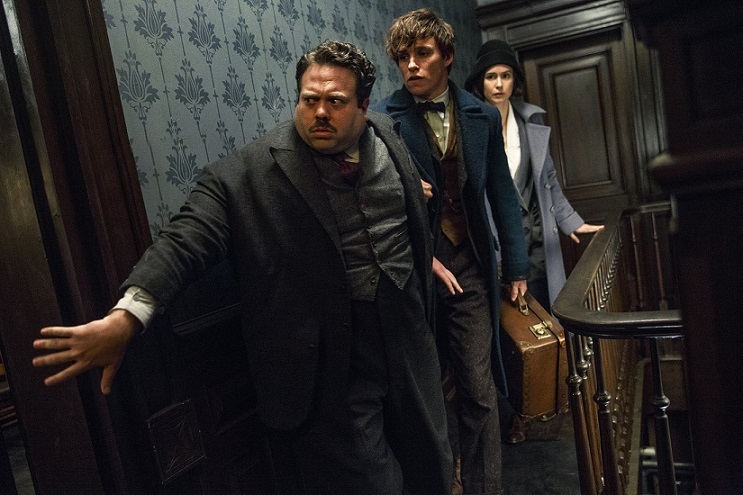 Unaware of the rising tensions, Newt Scamander arrives in the city nearing the end of a global excursion to research and rescue magical creatures, some of which are safeguarded in the magical hidden dimensions of his deceptively nondescript leather case. But potential disaster strikes when unsuspecting No-Maj Jacob Kowalski inadvertently lets some of Newt’s beasts loose in a city already on edge—a serious breach of the Statute of Secrecy that former Auror Tina Goldstein jumps on, seeing her chance to regain her post as an investigator. However, things take an ominous turn when Percival Graves, the enigmatic Director of Magical Security at MACUSA (Magical Congress of the United States of America), casts his suspicions on both Newt and Tina. I wanted to see Fantastic Beasts and Where to Find Them when it was in theaters but I didn't get the chance to so when I received the Blu-ray combo pack to review of course I just couldn't wait to watch the movie. I am so glad I own Fantastic Beasts and Where to Find Them because I just absolutely loved it. I love the story, the acting and all the graphics. I was entertained and I know I will be watching it again in the future. I do recommend Fantastic Beasts and Where to Find Them. Own Fantastic Beasts and Where to Find Them on Ultra HD Blu-ray, 3D Blu-ray, Blu-ray and DVD on March 28 or Own It Now on Digital HD!